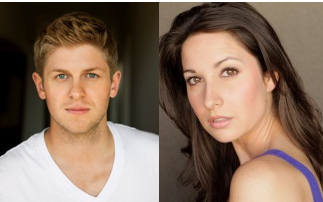 The award-winning Elephant Theatre Company, David Fofi and Lindsay Allbaugh, Artistic Directors, has announced its first annual Poker Royale benefit. The Texas Hold ‘Em Tournament will be held on Saturday, August 18, beginning at 6pm. All proceeds will go toward shows in the highly anticipated 2013 season of the critically acclaimed company. Poker Royale will be a star-studded night of Texas Hold ‘Em Poker, Blackjack, raffles, food, drink, and surprise celebrity guests. The tournament will be a World Series of Poker style event, coordinated by West LA Poker, and valuable prizes for top winners include gift cards valued at hundreds of dollars, tickets to various shows, restaurant gift cards, and much more. Food at the event will be provided by Big Wangs, beer provided by Black Star, and cocktails by Karma Tequila and Devotion Vodka. The Elephant Theatre Company is a staple of the Los Angeles theatre community. Known for developing and producing new work, the company has been named three years in a row by Back Stage as ‘Favorite Theatre Company to See and Work With,’ as well as receiving multiple Ovation, LADCC, and LA Weekly Award nominations and wins. Last season’s west coast premiere of Kate Fodor’s 100 Saints You Should Know was nominated for four LA Weekly Awards, winning Best Supporting Female Performance (Kate Huffman), and was also nominated for one LADCC Award. The Elephant concluded its very successful 15th season in December 2011, with the world premiere play Love Sick by Kristina Poe, and the rarely produced Baby Doll by Tennessee Williams, both of which had extended, sold-out runs. The doors for Poker Royale will open at 6pm on Saturday, August 18. Poker lessons begin at 6:30pm, and the tournament starts promptly at 7pm. (Players can enter the tournament up to 8pm.) Tickets are $80, including poker tournament entry and all you can eat and drink. Spectator tickets are available for $25, which include Fun-Play Blackjack along with food and drink. Admission prices will be $10 higher at the door. Tickets are available now at www.ElephantTheatreCompany.com. For information on sponsorship opportunities, email rick@elephanttheatre.org. Poker Royale will take place at 6314 Santa Monica Boulevard (one block west of Vine), two doors down from the Elephant Theatre. Valet parking will be available. Visit the Elephant on Facebook, and follow us on Twitter @elephanttheatre. Rizzo 39 Productions has announced a two night only engagement of Donna/Madonna at the Chance Theatre in Anaheim on August 6 and 13. 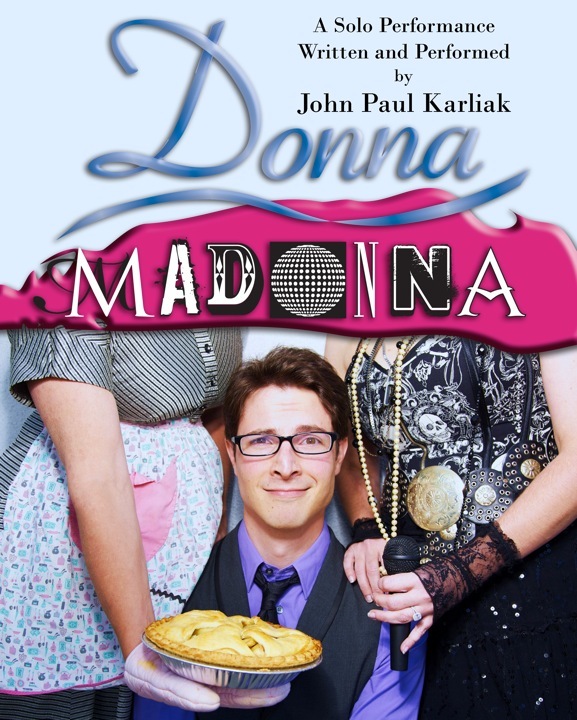 Written and performed by John Paul Karliak, Donna/Madonna is directed by Tiger Reel and Matthew Craig. Curtain time for both performances is 8pm. In this hilarious and poignant autobiographical one-act, writer/performer John Paul Karliak wants desperately to be the perfect son for his adopted mother, a doting Catholic housewife from Scranton, PA. But realizing he will never be the ideal local boy, he seeks answers from a very different source: his fashion journalist, married-to-a-British-pop-star birth mother. Donna/Madonna is a tale of motherly love and finding acceptance, told through stories, songs and characters like Darth Vader, Carol Channing and John Paul’s unforgettable mothers. Donna/Madonna was the winner of the Best One Man Show Award (2010 United Solo Theatre Festival in New York), Best of Fringe Award (2011 New York International Fringe Festival), Overall Excellence in Solo Performance Award (2011 San Francisco Fringe Festival), and Best Solo Performance (2011 StageSceneLA.com Awards). Last year, the show enjoyed a successful run at Hollywood’s Lounge Theatre. Tickets for Donna/Madonna at the Chance Theatre are available now, online at www.chancetheatre.com, or by calling (714) 777-3033. All seats are $20. The Chance is located at 5552 E. La Palma Avenue in Anaheim, 92807. 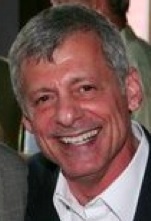 For more info, visit www.donnamadonnashow.com.